Thugs of Hindostan Dialogues- Get all famous and popular dialogues from Thugs of Hindostan. This is an action-adventure film written and directed by Vijay Krishna Acharya. Amitabh Bachchan, Aamir Khan, Katrina Kaif and Fatima Sana Shaikh are playing the main lead role. The film story based on Philip Meadows Taylor's 1839 novel Confessions of a Thug. 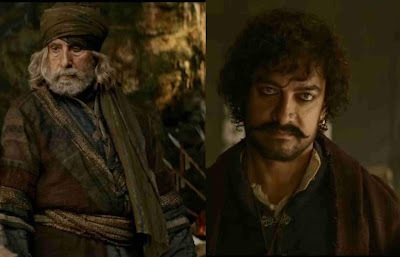 Amitabh Bachchan is playing the role of commander of the thugs named Aazad and Aamir Khan is also playing the role of Thug named Firangi Mallah. Katrina Kaif, who plays dancer Suraiyya Jaan. The film is full of amazing scenes, action sequences and famous dialogues. In the film, Amitabh is fighting against English men (the East India Company). Amitabh delivered so many amazing dialogues with own style. Here we have collected all the famous and hits dialogues of Thugs of Hindostan.